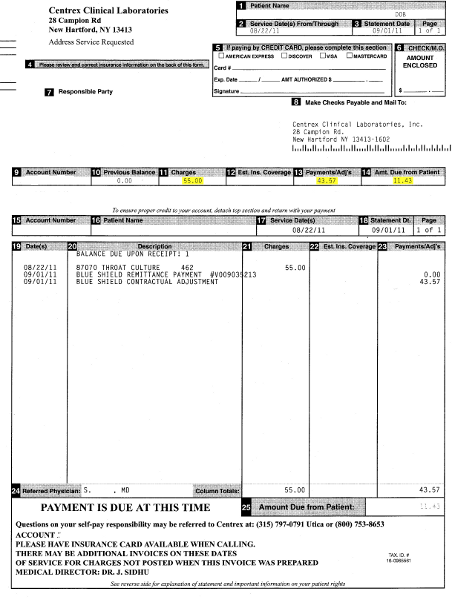 Here is a bill I just got from a medical lab for a throat culture. They charged $55, which seems a little high. But wait! Due to the kind of insurance I have, they send the bill to Blue Cross, BC then adjusts it to their negotiated rate, and I pay that. So they adjust it by, hm, 77% to $11.43. So the $55 is really just the sucker price for people who don't have a large corporation to negotiate on their behalf. Remind me again why this is better than single payer?